A 60-year-old man presented to his family physician with a 2-month history of fatigue and lethargy. Upon questioning, he reported no bleeding from his gastrointestinal tract or other sites. The patient had type 2 diabetes, hypercholesterolemia, reflux esophagitis and depression. His medications were metformin, glyburide, omeprazole, pravastatin, citalopram and olanzapine. He was not taking acetylsalicylic acid or nonsteroidal anti-inflammatory drugs. The patient had a history of alcohol abuse but had not been drinking for the past year. He used crack cocaine frequently and reported that he often skipped meals while taking crack cocaine. He had no history of cognitive impairment. He lived alone, in an apartment building that had bedbug infestations. He reported a proliferation of bedbugs in his apartment beginning about 2 months before presentation. On examination, the patient’s skin showed no visible signs of bleeding. There were numerous erythematous, excoriated papules and welts on his scalp and arms. Physical examination was otherwise unremarkable. Laboratory testing showed a hemoglobin level of 80 (normal 135–180) g/L, a mean corpuscular volume of 97.5 (normal 80–97) fL and nonspecific erythrocyte changes on the blood smear. The leukocyte count and differential were normal; the platelet count was 428 (normal 150–400) × 109/L. The serum ferritin level was 18 (normal 27–220) μg/L. Vitamin B12, erythrocyte folate, creatinine and thyroid-stimulating hormone levels were normal. Four months earlier, the patient’s hemoglobin level had been 147 g/L. Therapy was started with ferrous fumarate, 300 mg orally twice daily, and folic acid, 5 mg orally once daily. The patient was given a single dose of 1000 μg of vitamin B12 intramuscularly. Four weeks later, he was seen again by his family physician and noted to be very pale. He again reported no bleeding. He was admitted to hospital, where his hemoglobin level was found to have dropped to 57 g/L. The reticulocyte count was 5.3% (2.0% after correction for hemoglobin level). Serum lactate dehydrogenase and total bilirubin levels were normal. After the patient received 2 units of red blood cells, his hemoglobin level rose to 77 g/L. No abnormalities of the upper and lower gastrointestinal tracts were seen on gastroscopy and colonoscopy. The patient was discharged home and instructed to continue the oral ferrous fumarate therapy. Three weeks later, the patient’s hemoglobin level was 52 g/L. He was readmitted to hospital and given 3 units of red blood cells. His hemoglobin level increased to 83 g/L. A computerized tomography scan of the abdomen and pelvis appeared normal. The patient was discharged home with the diagnosis of iron-deficiency anemia of unknown cause. Shortly after discharge, the patient’s family physician conducted a home visit with the patient. The patient reported that he had hundreds of bedbugs in his apartment but had not made efforts to have the infestation treated. His family physician noted several bedbugs crawling on the patient. Inspection of the apartment revealed dozens of bedbugs crawling on the walls and thousands living within the patient’s mattress and bedding. The physician hypothesized that the patient’s anemia was due to blood loss from bedbug bites. Because the patient lacked the capability to prepare his apartment for treatment of the infestation, public health authorities found temporary accommodation for him at a shelter. His apartment was treated with insecticides by a pest control operator, and all infested furniture was removed. The patient continued to take 300 mg of ferrous fumarate orally 3 times daily. Four weeks after treatment of his apartment, the patient’s hemoglobin level was 132 g/L. Six weeks later, his hemoglobin level was 146 g/L and his serum ferritin level was normal, at 57 μg/L. Testing of stool specimens for occult blood was negative on 3 occasions. At 6 months after treatment of his apartment, the patient’s anemia had not recurred. His hemoglobin level has ranged from 139 to 157 g/L. He has reported seeing and killing a few bedbugs in his apartment on a daily basis, but he has not experienced new bedbug bites. Bedbug bites, however, should be considered a possible cause of chronic blood loss and iron-deficiency anemia in people who have signs of bedbug infestation. The anemia in the patient we have described was almost certainly caused by ongoing blood loss from multiple bedbug bites. The attribution of his anemia to bedbug bites is supported by the absence of other identifiable causes of anemia and the return to normal of his hemoglobin level after treatment of the severe infestation in his apartment. The patient’s poor eating habits may have contributed to the severity of his anemia. The patient’s substance abuse may have increased his risk of extreme bedbug infestation by rendering him apathetic and inattentive to conditions in his home. Other possible risk factors for such infestations include cognitive impairment or severe and persistent mental illness. Appropriate measures in response to bedbug infestations include careful inspection of the home environment, disposal of highly infested furniture, destruction or encasement of mattresses and box springs, reduction of household clutter, non-chemical control measures such as vacuuming and steam treatments, and the application of insecticides by a pest control operator. 5 In some cases, vulnerable individuals may require extensive personal and financial assistance to carry out these actions; health care and social service providers may need to be involved. 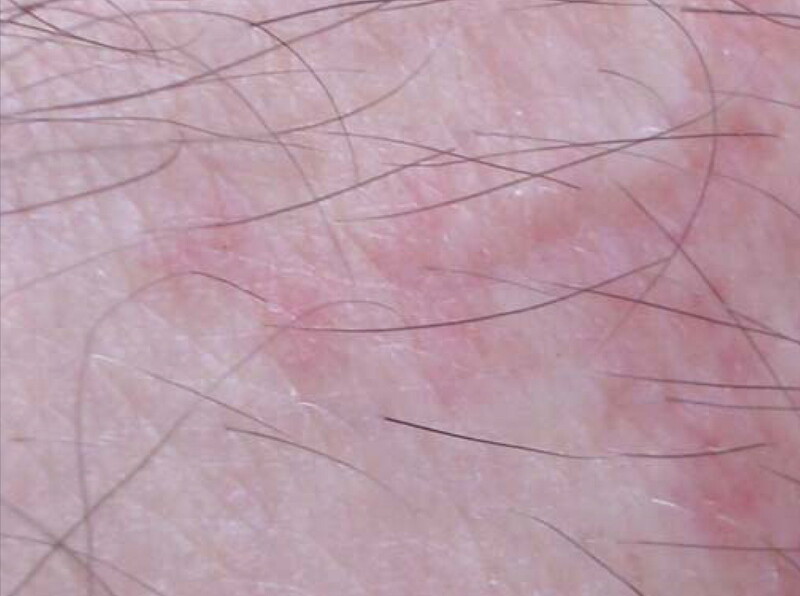 Bites from bedbugs often cause a rash consisting of small clusters of pruritic, erythematous papules or wheals. A definitive diagnosis of bedbug bites is based on demonstrating the presence of the insect, which may require an inspection of the patient’s home. 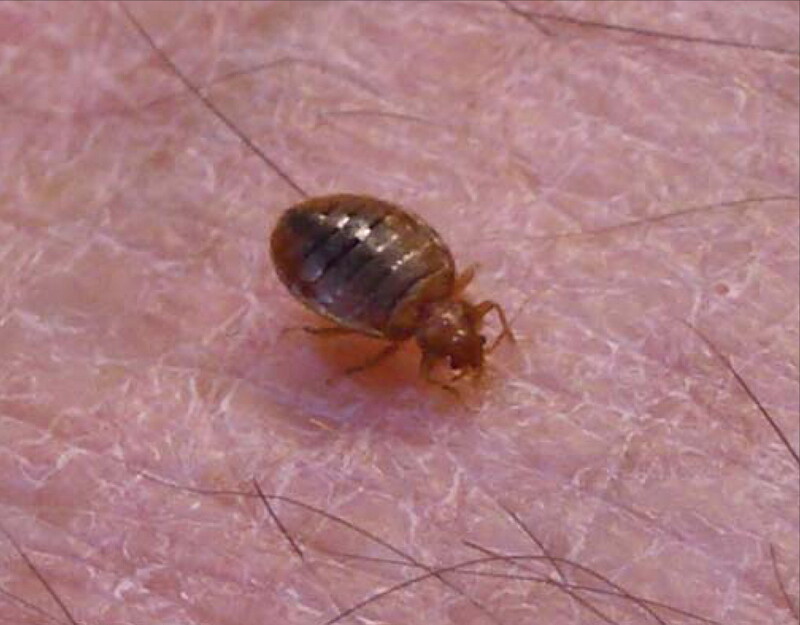 Bedbug bites should be considered a possible cause of iron-deficiency anemia in people who have signs of severe bedbug infestation. People with substance abuse, mental illness or cognitive impairment may be at increased risk of severe bedbug infestation. Previously published at www.cmaj.ca on Aug. 31, 2009. Contributors: Stephen Hwang drafted the paper and Jane Pritchard revised it. Both authors approved the final version submitted for publication. Harlan HJ. Bed bugs: importance, biology, and control strategies [technical guide no. 44]. Washington (DC): Defense Pest Management Information Analysis Center; 2006. Harlan HJ. Bed bugs 101: the basics of Cimex lectularius. Am Entomol 2006;52: 99–101. Hwang SW, Svoboda TJ, De Jong IJ, et al. Bed bug infestations in an urban environment. Emerg Infect Dis 2005;11:533–8. Elston DM, Stockwell S. What’s eating you? Bed bugs. Cutis 2000;65:262–4. Goddard J, deShazo R. Bed bugs (Cimex lectularius) and clinical consequences of their bites. JAMA 2009;301:1358–66. Venkatachalam PS, Belavady B. Loss of haemoglobin iron due to excessive biting by bed bugs. A possible aetiological factor in the iron deficiency anaemia of infants and children. Trans R Soc Trop Med Hyg 1962;56:218–21. Blood constituents as phagostimulants for the bed bug Cimex lectularius L.